The information in this post could actually be part of a series called "What to do in Life", but it really really really applies in business, so we're putting it here, too. One of the best opportunities we have in life to make people's lives better, make them feel appreciated, acknowledge them and their value in the world is to thank them. It's so simple, isn't it? But don't we often forget to stop. And acknowledge a word, an action, a service, time spent, help given, or no reason at all. Sometimes people just need to hear that they're appreciated, and that we notice them. It's a beautiful way that we can build into other people's lives. 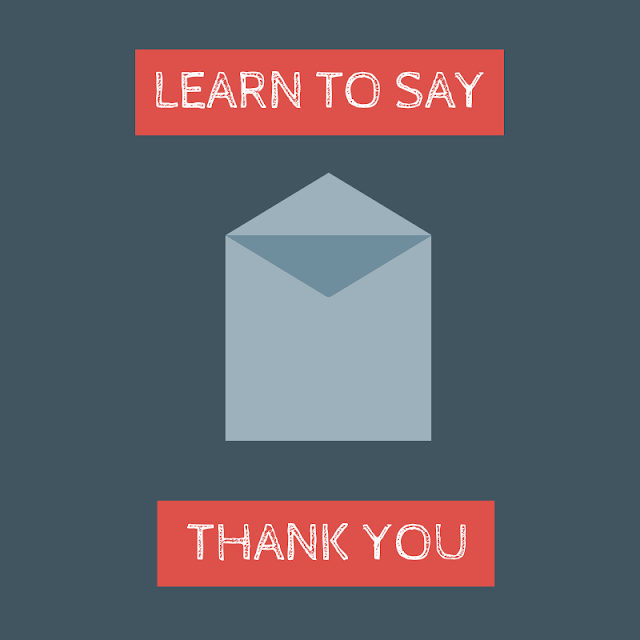 I love putting the practice of thank you into my own life. I have a long way to go, and still forget at times, because there are 324350956 emails waiting and my laundry just buzzed and my eggs are getting over cooked, and I have a 7:30 meeting, but it's WORTH it. The age-old handwritten note. It's fun to sweeten up the address area of the envelope, too. I have a Resources pin-board, and pinned some inspiration there. A quick text message. It's simple, isn't it? Just tell the person you loved seeing them, and thanks for making time. An unexpected treat. I keep a supply of Starbucks gift cards in my desk drawer at work. When I have a conversation with someone who I can tell just needs a lift, is feeling frustrated or unappreciated, I write a quick note (I found some simple and stylish stationary here) telling them they are doing great work, and I appreciate what they do, stick in the Starbucks card, and off it goes. Have WARM COOKIES DELIVERED. There's a company in our town that delivers warm cookies and ice cold milk all over town. It's more of an investment than the other I've given you, but sometimes you need a really unique something that will make an impact. This is it. Last year for Administrative Professionals Day, our office sent cookies and milk to all our advisors' assistants across town. It was a hit. We've also used it to acknowledge new clients joining our practice. If you send it to a client's workplace, not only do they become REALLY popular, your name gets out there, too. You can check to see if they are in your area right here.